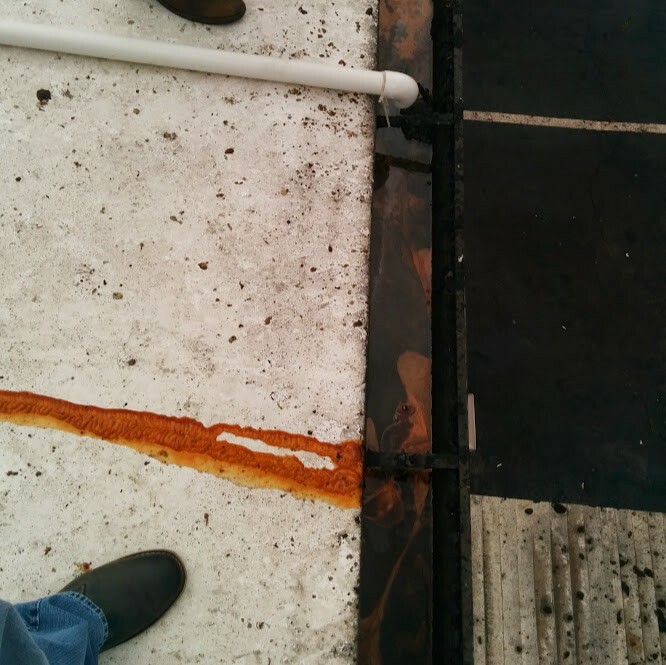 Your waist line is not the only thing suffering after the holidays. 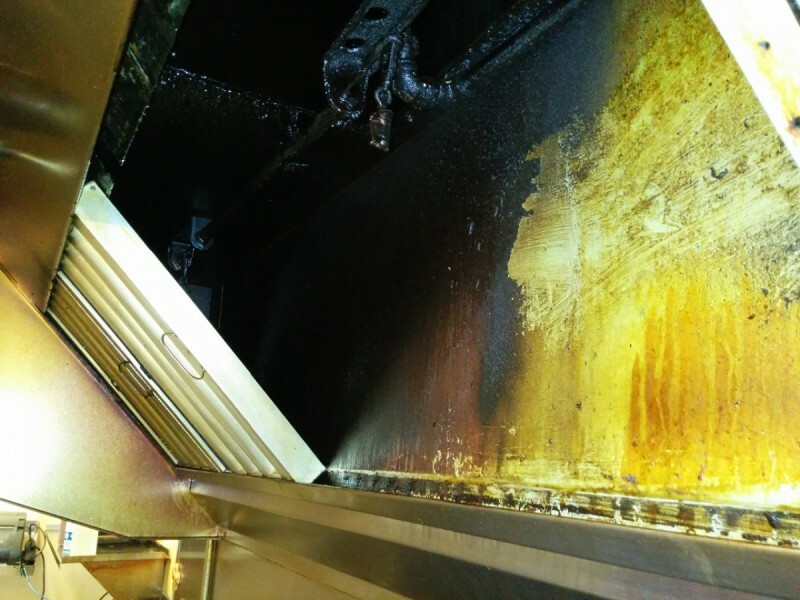 Time to shed the extra pounds from all of those holiday meals your restaurant kitchen exhaust hood system is holding onto. 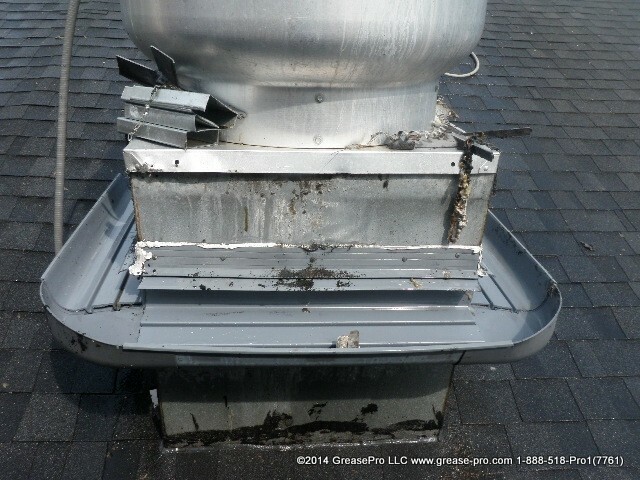 GreasePro has that magic solution that makes it all go away. 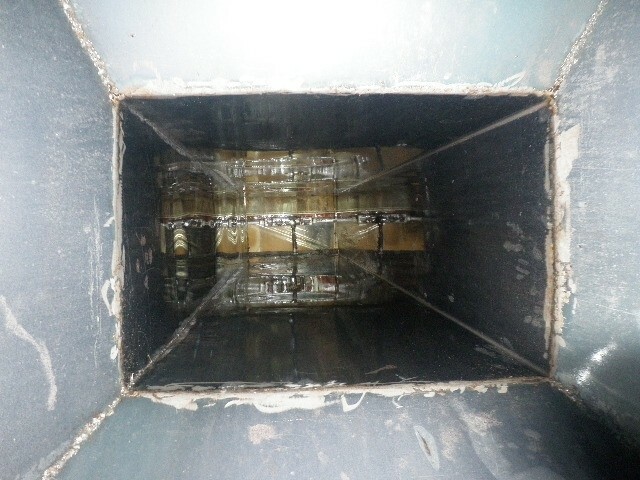 Ask us about our $25 gift card offer for our new line of Metabolic cleaners that will help you maintain your system and keep it light and in shape between regular scheduled cleanings. 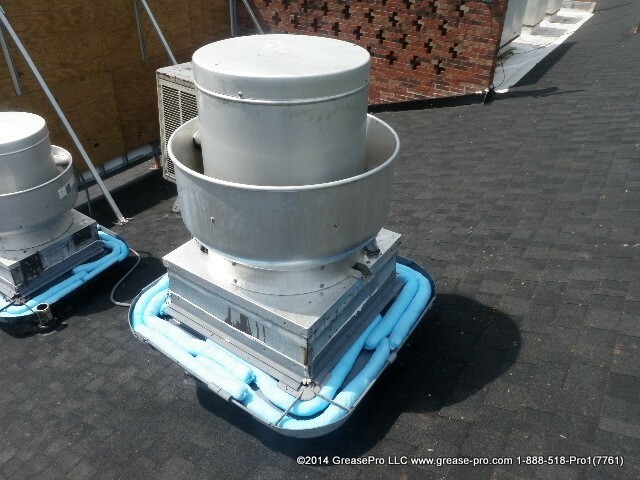 It may seem like a great idea to install PVC pipe to allow your grease exhaust fan to drain from the rooftop to the gutters, but in reality all you end up with is greasy clogged up gutters and a messy and smelly parking lot. 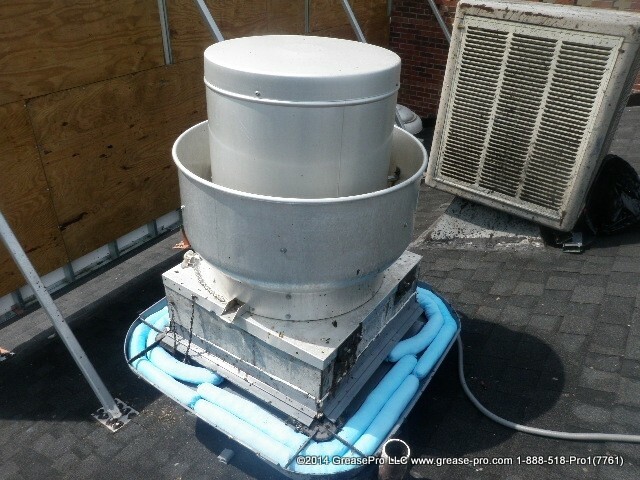 GreasePro can provide the best solution for rooftop grease containment and help you avoid costly repairs and messy clean ups. 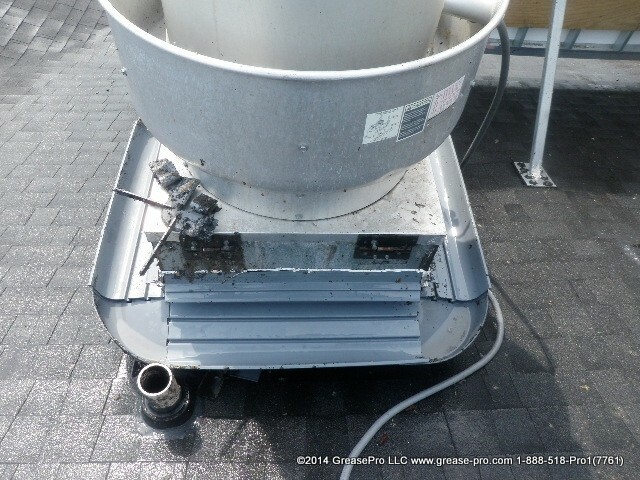 This is short video of a horizontal duct over an exhaust hood in the drop ceiling area of a kitchen. 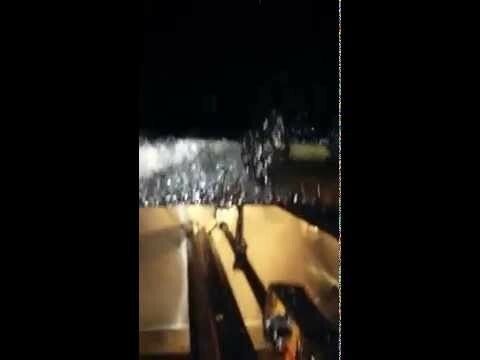 The system was tagged as "cleaned" 28 days prior to this video. 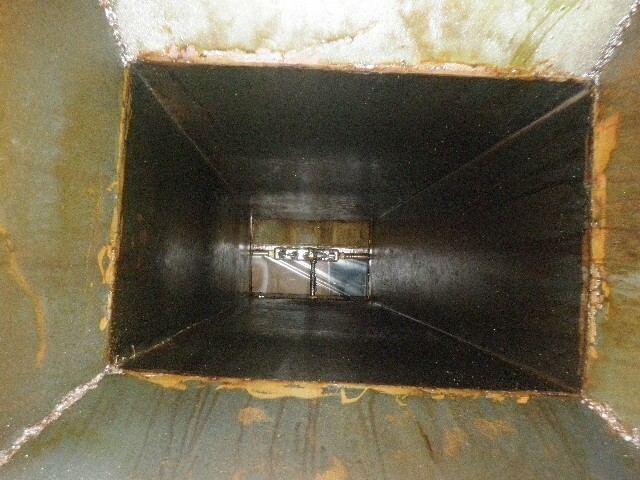 What you will see is years of neglected duct work and flammable grease buildup. 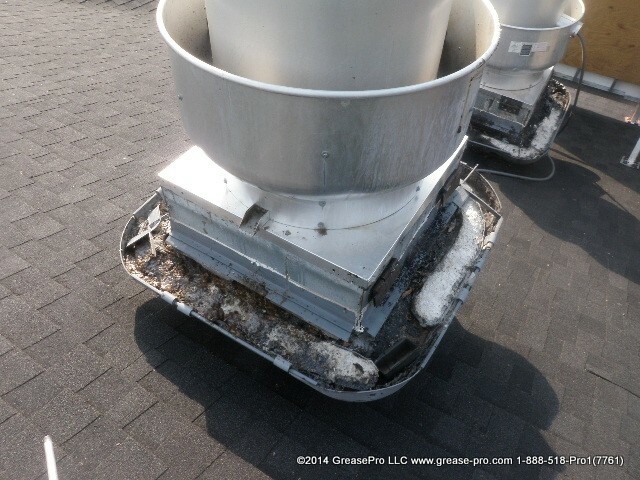 GreasePro can remove the toughest build up from your restaurant kitchen exhaust hood system. 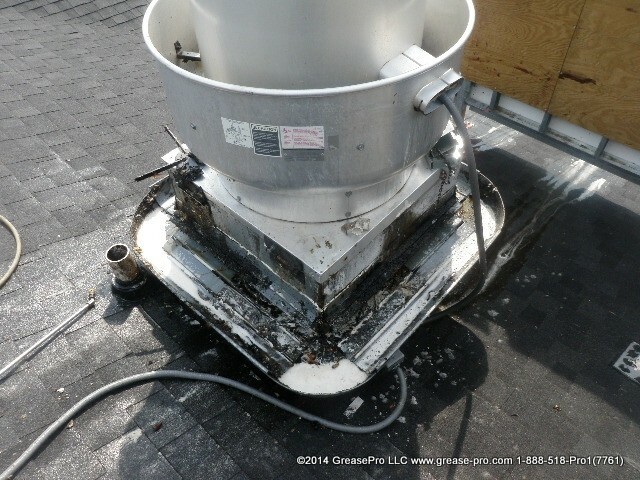 Unless you prefer to cover yourself in sticky messy grease and spend your well deserved off time cleaning up your kitchen before you can open for breakfast or lunch the morning following your service, stick with us, the Pros at GreasePro. 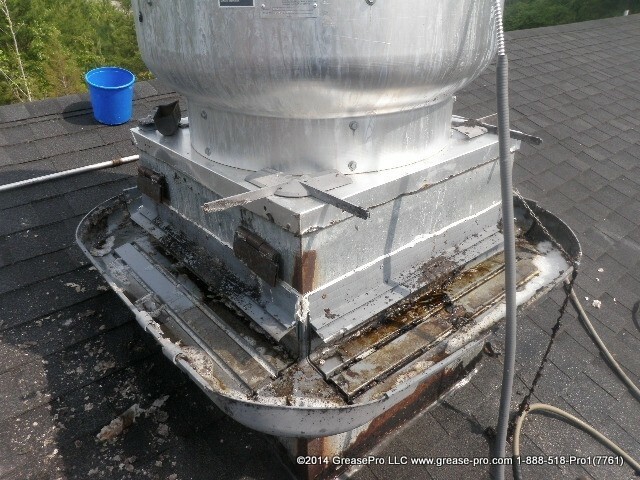 Rooftop grease containment systems can become overwhelmed with grease in a short period of time if they are not maintained at a proper frequency. 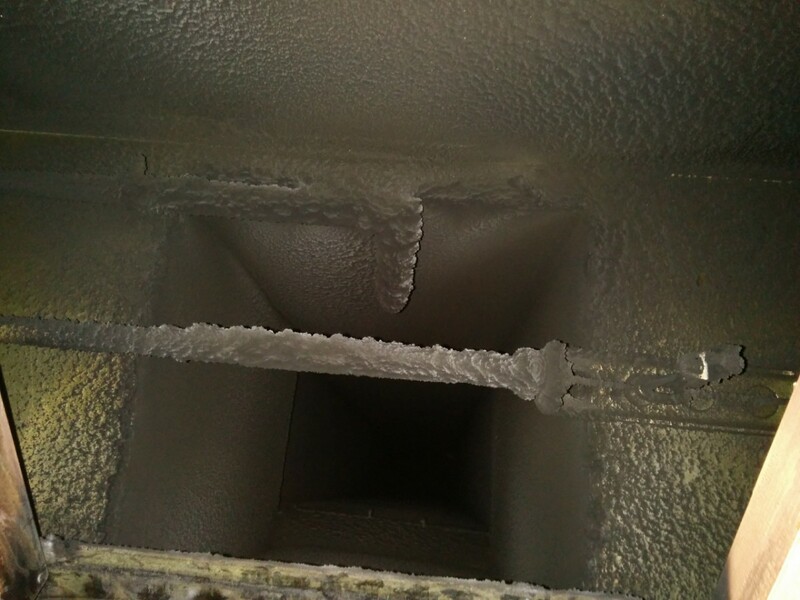 You typically would want to have the absorbent material changed at each regularly scheduled hood system cleaning. 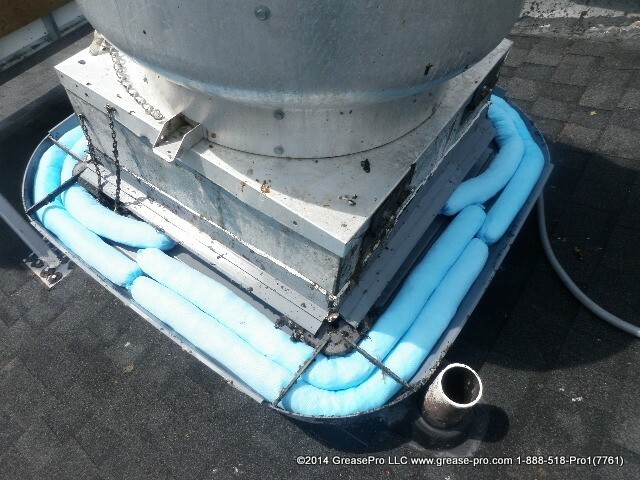 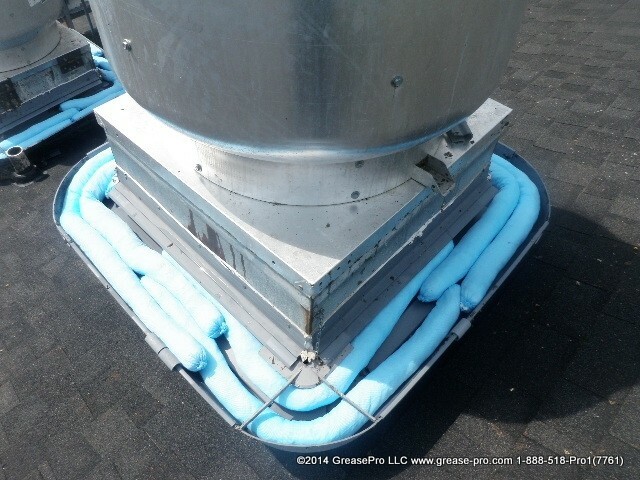 GreasePro has several options available when it comes to rooftop grease containment systems. 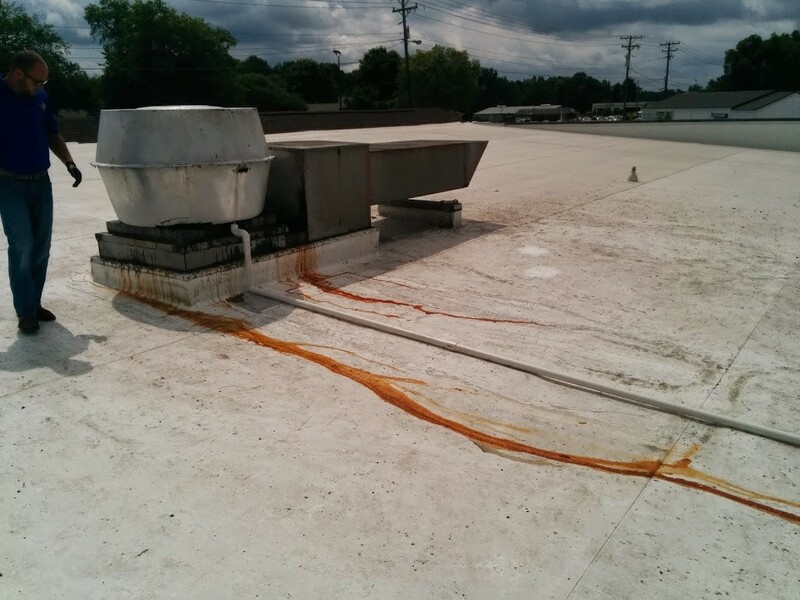 Don't let your rooftop become damaged from excessive grease runoff. 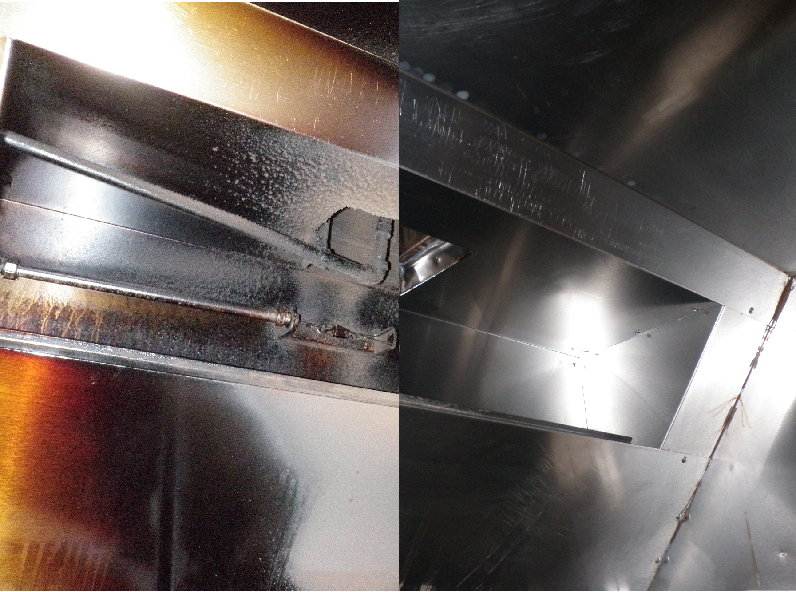 Mr Dodson is very knowledgable in the field of restaurant hood cleaning, and exhaust system maintenance. 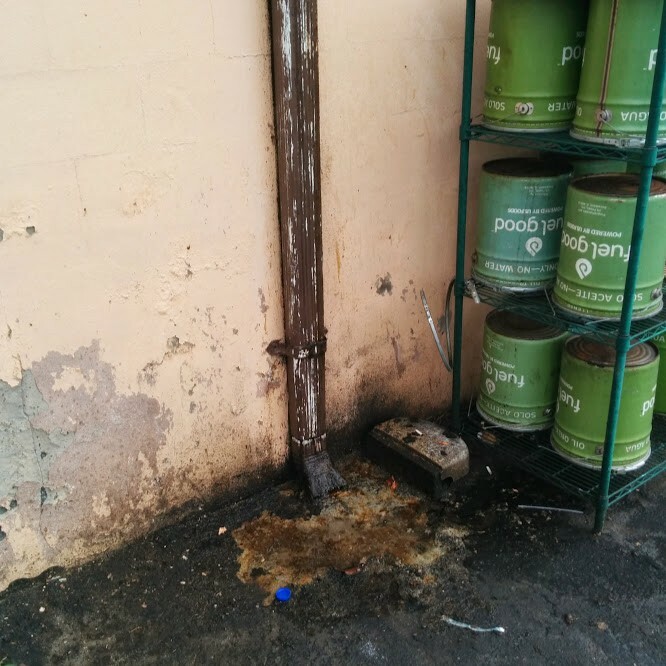 I have seen work from his company, and this is the best quality control any restaurant owner would want. 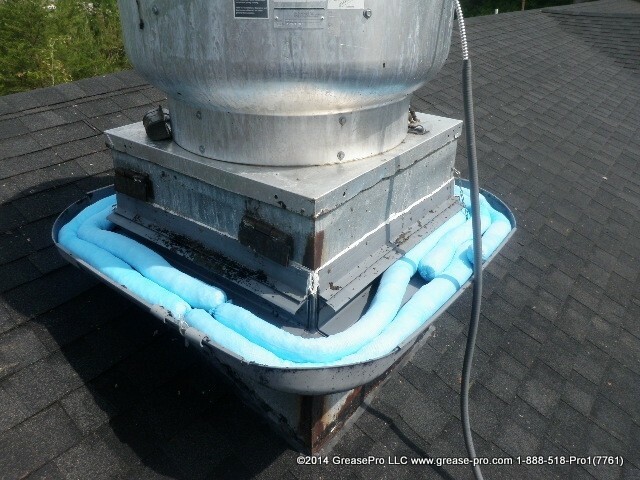 No more guessing if the hood system is cleaned. 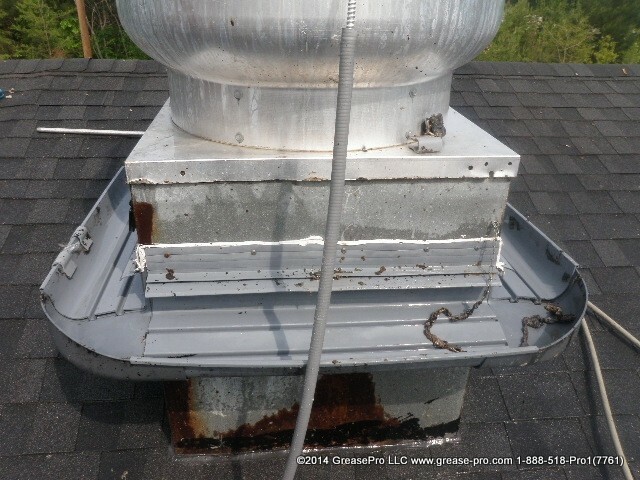 We like to say in the industry that anyone can clean a hood, but only a professional company like Grease Pro will actually clean the complete system. 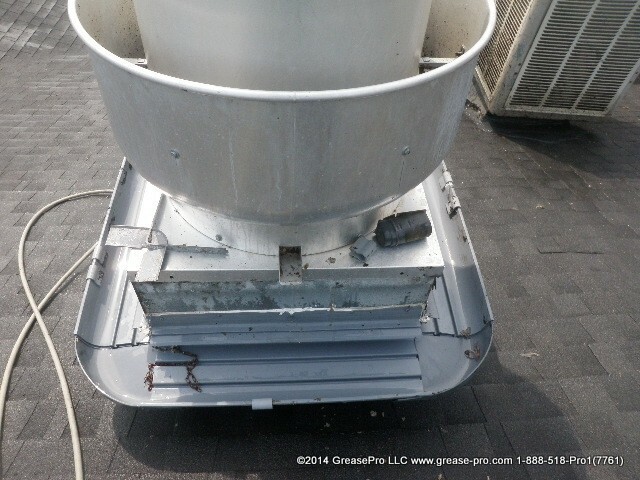 There is no competition in my book for Grease Pro. 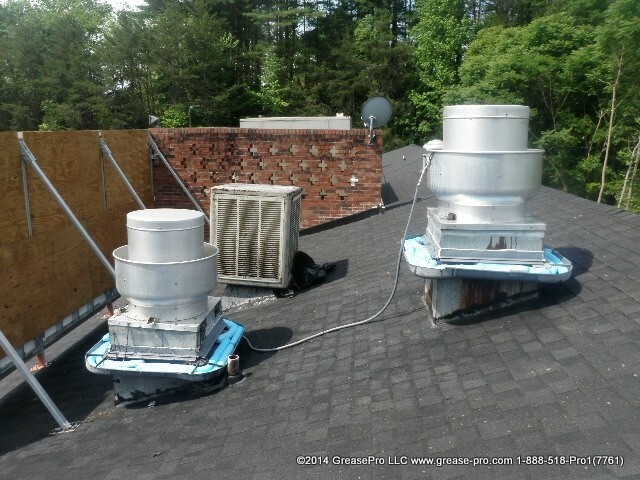 I would highly recommend them, and would like to say that South / North Carolina couldn't have a better company. 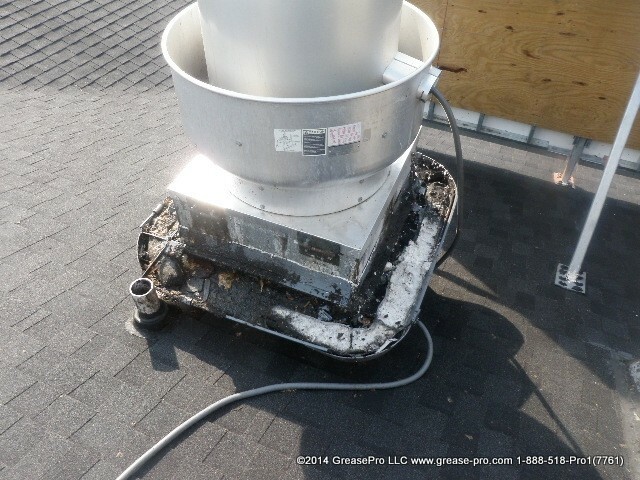 As you can see, GreasePro removes the accumulated grease and leaves behind a fire save cooking environment. 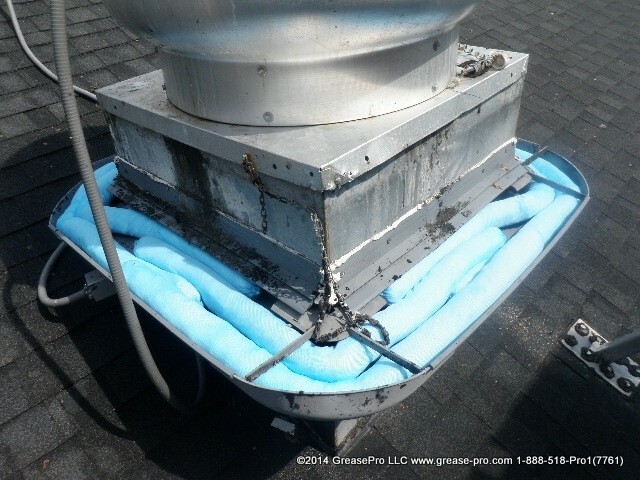 Fryer grease tends to appear a bit thinner than burger or char style grease, but can be much more difficult to clean because of the higher cooking temperatures and types of oils used in the cooking process.